Suffering from pain stemming from laptop touchpad use? You may have an repetitive strain injury (RSI) from over use of laptop touchpads. The touchpad is a cramped interface device that was never designed for long term use unlike an external mouse. 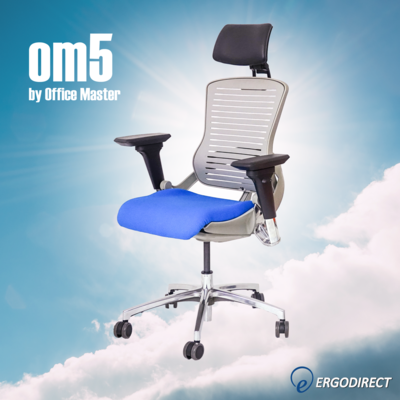 At ErgoDirect, we created a unique solution – the EDL-230WD. 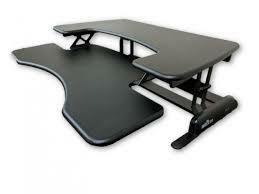 We’ve combined a height adjustable laptop arm with a keyboard tray with enough room to operate a mouse. The laptop arm gives you the ability to raise and lower your laptop workstation by up to 16” inches – granting you the freedom of moment you desire. 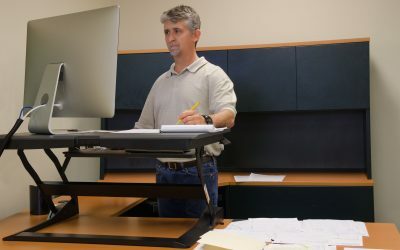 Unlike most laptop trays that exist on the market, they do not have room to operate a mouse – which forces the user to use the uncomfortable trackpad. 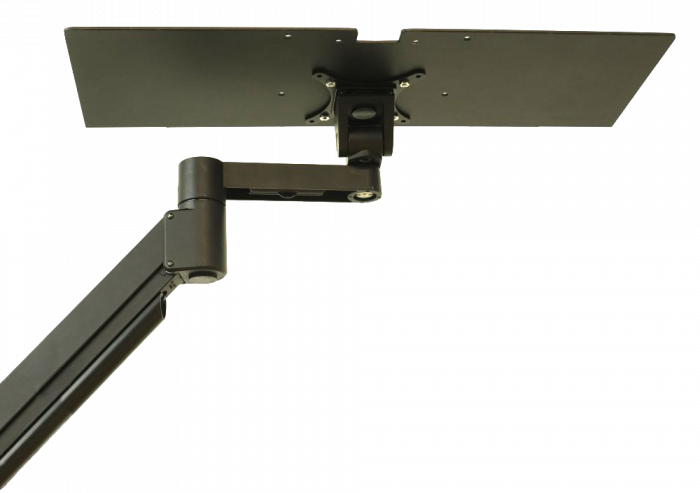 The EDL-2301WD can be mounted on a desk or wall allowing for optimal ergonomic comfort, wherever it’s needed. 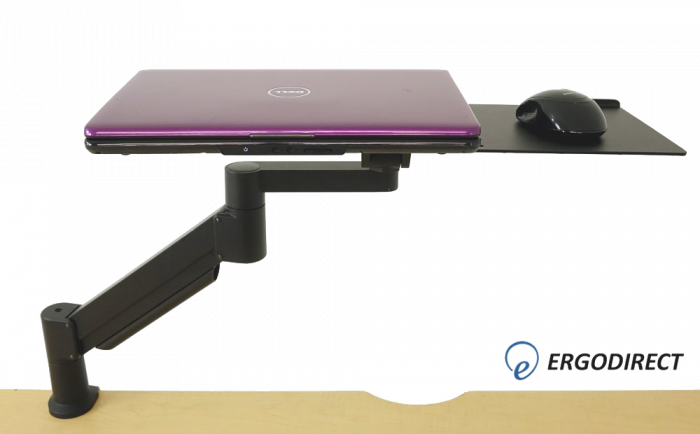 With “Six Degrees of Freedom” adjustability, it is easy to adjust the laptop arm to the perfect ergonomic spot – 90° to 100° angle to prevent wrist pain. With the tray dimensions of 23” x 8”, the EDL-2301 can fit laptops up to 18” inches wide leaving 5” room to operate the mouse. This means it’ll fit all of the Apple™ products as well as even the largest & most powerful media production PC laptops. To secure the laptop during use, we provide a set of four 10” Velcro™ straps which are placed on the tray and stuck to the bottom of your laptop, minimizing the chance of your laptop from sliding off the tray. This tray is easy to use for those that work in IT or prefer to work with their laptop. Once the arm is installed, there is hardly any effort to connect it to your laptop. 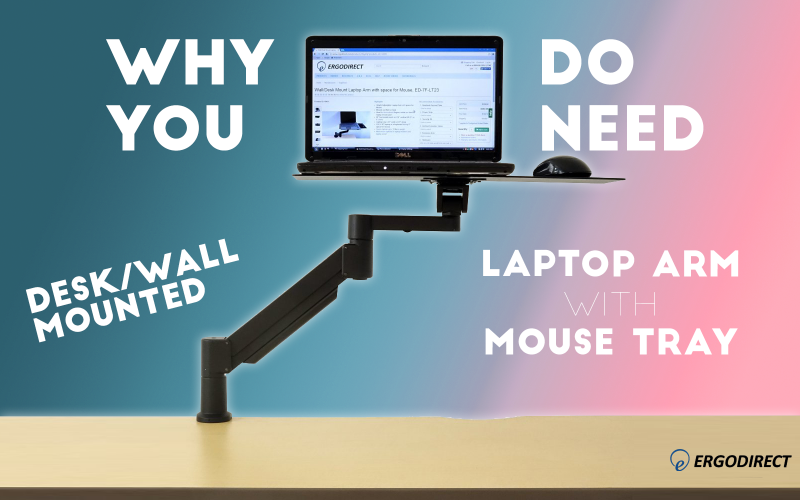 Since the laptop is mounted, all that is needed to remove the laptop from the tray is lifting it off the tray – making it a simple and elegant solution for your workspace. 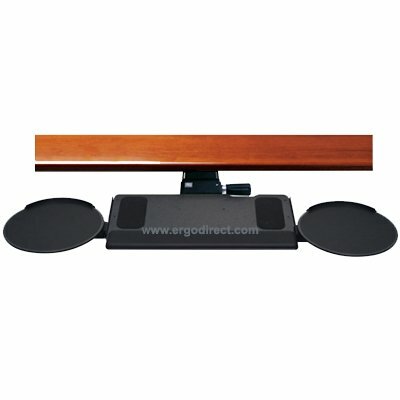 With every purchase at ErgoDirect, you are provided world class support and customer service. Our team can assist you with installation, operation, and adjustments to ensure that the EDL-2301WD is the perfect solution for your workstation. To get started outfitting an EDL-2301WD – Click Here to Get Started or give us a call at 888-456-ERGO (3746). True that. Relying on the touchpad a lot can be annoying and even painful. I haven’t touched it for months now. It is helpful to Secure your laptop and pose it where you want it with Adjustable Laptop Arm.. thank you for the post. Good job!! !